With roots dating back to the early twentieth century, we have vast experience in solutions for the power, automation and process sectors. 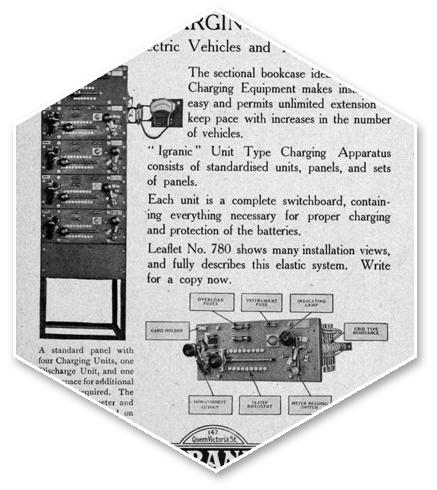 The oldest part of The Automated Technology Group is the Igranic brand, which was established in the early years of the twentieth century and became renowned not only for its innovative power control and distribution products but also for its forward-thinking consulting services. Acquired in 2012, the Igranic know-how is now embedded in The Automated Technology Group. Proven core products include type-tested starters, motor control centres and switchgear systems. The other key brand within the group is Autotech, a name synonymous with automation control. Founded in 1996 by Andy Robinson – CEO of The Automated Technology Group – Autotech quickly established unrivalled expertise in dynamic control systems and later in virtual manufacturing and robotic engineering. Following the acquisition of Igranic in 2012, the Autotech brand became a key asset of The Automated Technology Group. In September 2015 The Automated Technology Group was acquired by Wood, an international energy services company with more than $11 billion sales and operating in more than 60 countries.